The Romance Dish: Winners, Winners, Everywhere! Congratulations to you all! Please contact us at the email address below. Oh how delightful! 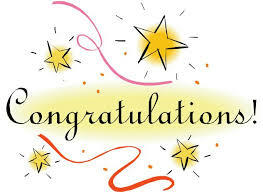 I love opening my email and finding a notice that I have won a book from the “Dishes!” A huge thank you to Alison DeLaine and the lovely ladies at The Romance Dish. Congrats to all! I'm happy to get Emily's books under her new name. Also putting Alison DeLaine on my wishlist, always great to find new good authors. Happy New Year!